STONEVILLE -- A group of soybean professionals met in Stoneville as harvest approached to learn how to be more efficient with irrigation at the end of the growing season. Tom Eubank, a Mississippi Agricultural and Forestry Experiment Station soybean agronomist at the Delta Research and Extension Center, said soybean farmers need three pieces of information to know when to terminate irrigation. Field day participants examined soybean plants to determine their growth stage and used a portable soil moisture meter to determine the amount of water in the soil profile available to plants. In addition to Eubanks, MSU scientists Trent Irby, Bobby Golden and Jason Krutz provided the expertise and hands-on training. MSU economists have calculated that it costs $10 per acre to send 3 to 3.5 inches of irrigation water across a soybean field. 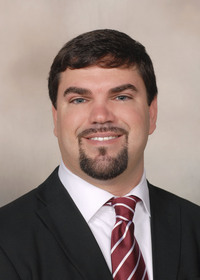 Irby, soybean specialist with the Mississippi State University Extension Service, said recent high soybean prices make this a reasonable cost of production. The Mississippi Delta is predominately irrigated from the Mississippi Alluvial Aquifer, which historically has been a plentiful, readily available water source for the entire region. This aquifer has not been replenishing fully in recent years, and its water levels have been dropping. 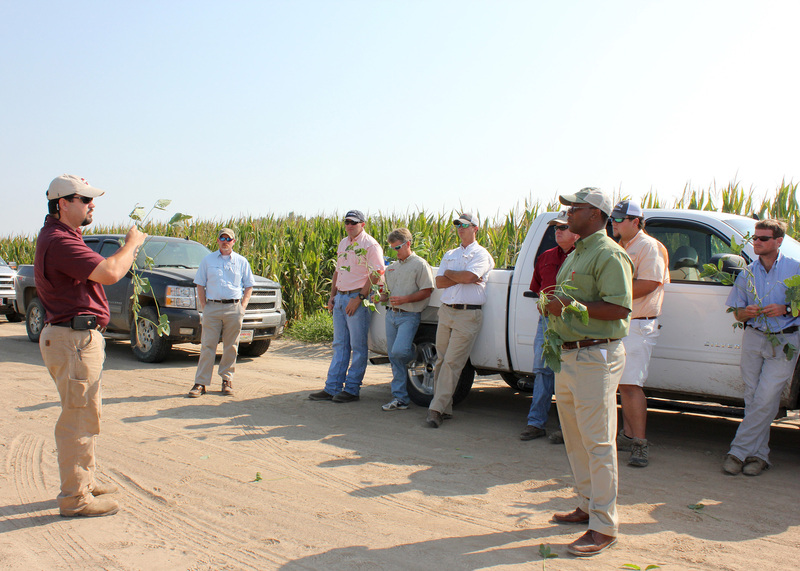 The training session Aug. 30 was part of concerted efforts by the MSU Extension Service and MAFES to reduce the state’s demands on the Mississippi Alluvial Aquifer and to introduce conservation practices into Mississippi irrigation schedules. MSU is one of many organizations trying to limit the demands placed on the state’s water supplies. He said careful consideration of irrigation decisions saves producers money and may limit future federal regulations. “If Mississippi producers don’t do something now to curb the use of our water resources, the government is going to step in and say that’s enough,” Eubank said. The training was offered to Extension agents, crop consultants and growers as part of MSU’s ongoing efforts to extend research-based information to Mississippians.